So I have been an e-book reader for a long time. Way back when I was pounding through e-books (mostly DRM free stuff from my favorite publisher, Baen... Anytime I can buy 5 books for 15 dollars and use a device I had already (normally a Palm or MS PDA) it is a great thing). I decided to join the Kindle wagon with the release of the Kindle 2. 2 weeks (due to a bad zip code on my package) it arrived. I happily loaded the 177 DRM free ebooks that I already had and was ready to rock and roll. But I will give Amazon credit. They had the replacement in my hands in barely 24 hours! As much as I like physical books, there are many times when I could have used a Kindle. People seem to love 'em. 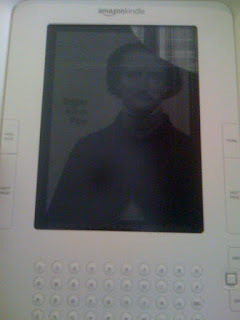 I have a Kindle v1.0 and love it. It's a little bigger than I would have liked, but to be able to carry a "book" or books like that around makes it so much easier to motivate myself to read.